It’s always difficult to say something about a subject that has not affected you in a particularly personal way. Nevertheless, death is a subject that is before us these days as a community of faith and as a society as a whole, and therefore warrants some reflection. I’d like to comment on two recent events in particular. 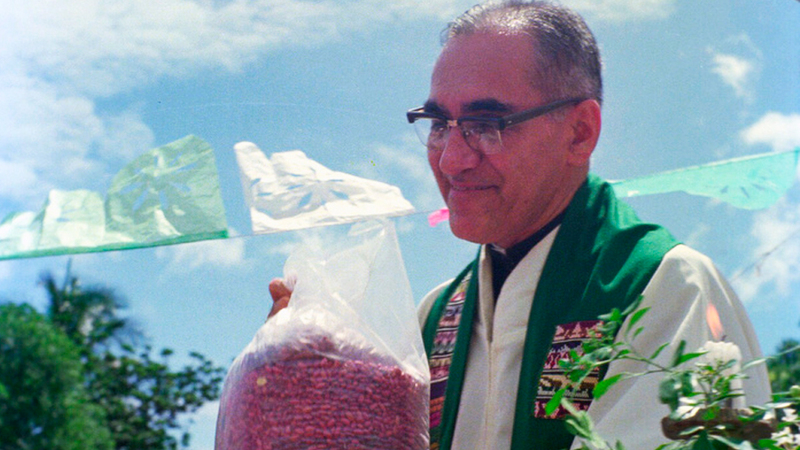 On February 3, Pope Francis declared Oscar Romero, the beloved Salvadoran archbishop, a martyr for the Catholic faith. A few days later on February 6, the Supreme Court of Canada unanimously ruled that physician-assisted suicide is permissible, thus overturning the law prohibiting such deliberate medical action. From within the Catholic Church came radically different responses to these two developments. To the news of Romero’s official martyrdom, Catholics everywhere rejoiced. The man who so many already considered a saint because of his heroic stance in defense of the dignity of the poor expressed in defiance of a tyrannical right-wing government, will be recognized in death for his Gospel witness. The people of our time may perceptively wonder how it is possible for such opposing responses to be reconciled in a single creed. Was not Archbishop Romero conscious of the likelihood of his death in speaking out against the Salvadorian government, and thus, in a way freely welcoming his own death? How is that different, they may ask, from a person who is suffering from an irremediable state of life, often in similar and sincere contemplation of their very existence, choosing to die and receiving medical assistance to do so? It is a profound and difficult question, but not one that has escaped the mind and heart of the Catholic Church over the course of history. After all, martyrdom for the faith has been a reality from the beginning of the Christian movement. In Luke the Evangelist’s portrayal of the 1st century martyrdom of St. Stephen we find many similarities to the story of Romero twenty centuries later. But to look specifically at the question posed, namely what accounts for the difference between the Catholic responses to Romero’s death and the court decision to legalize euthanasia, we must attempt to explain the principle of paradox that has been infused into the Christian message from the very beginning. In one sense, the person today who suffers from an irremediable state of life and wishes to end it is expressing a belief that the negative consequences of choosing to endure—prolonged suffering of all kinds or financial pressure on family members, for example—outweigh the prospect of living. It’s impossible to imagine the weight of such an examination of conscience, but people have done it and made the decision to die. From the Catholic perspective, as witnessed to by the lives of the martyrs, the willingness to die comes as the result, not of a conviction that death is the better choice, but that rather that life is. And this is the paradox. The martyr is not a person who chooses death because it is an option, but one who will endure death for the belief that life is the only option. In Romero’s case, he chose life for the poor people of El Salvador so vehemently that he paid the price with his own life. Now that the Supreme Court has made its decision, the Catholic Church must voice its opposition to the law in favor of the dignity of all life. At the same time, it is essential that the Church do everything in its power to accompany—as Pope Francis would say—those struggling with such decisions and avoid an attitude of judgment that would not do justice to the Church’s insistence on the dignity and respect for every human being. Whether they are struggling with the decision to end their life or struggling for survival from a tyrannical dictator, the dignity of each person and the respect for the conscience of each person must be the priority of Catholics if we are to be faithful to the Gospel.